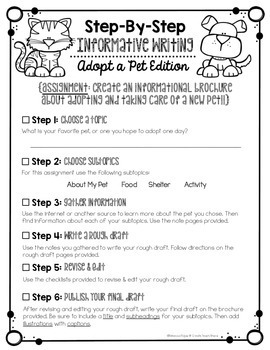 - Step-By-Step Assignment Sheet- Students use this sheet to take them through the assignment, referring to it as they go, and checking off each step as it’s completed. - Note-Taking Pages for Gathering Information- Students use these pages to take notes as they research their topic and subtopics. 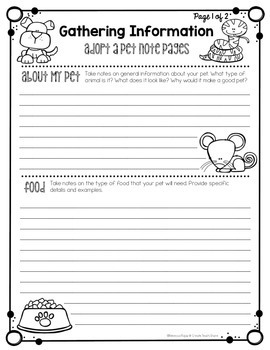 - Rough Draft Pages- These pages provide directions for writing each paragraph. 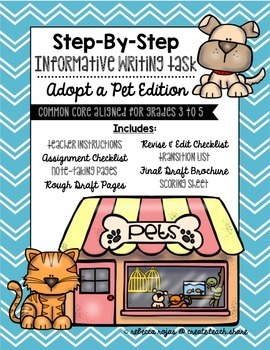 - Revise & Edit Checklist- The checklist can be found on the last rough draft page, and gives students ideas for revising and editing their essays. 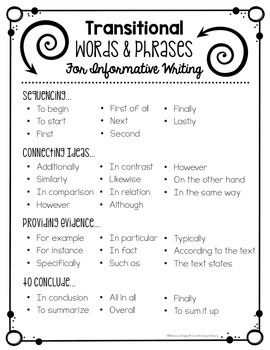 - List of Transitional Words & Phrases- This list provides students with transitional words and phrases to use in their essays. - Scoring Sheet- A scoring sheet is provided for grades 3, 4, and 5. Each are based on the common core standards. Please email me with any questions or comments at createteachshare@gmail.com. I welcome any suggestions that you might have for more informative writing topics! !